Here’s the bottom line on thought leadership and what it actually means to your brand. For marketing and sales, the days of success based solely on self-promotion have passed. You must provide value long before you’ve even made the transaction of goods/services in exchange for money. This is where thought leadership should be respected as a recognised and effective strategy for building trust in your brand. I’ll assume that you use content in some form to promote your brand, as 86% of business do. Starting right at the beginning of a customer’s journey, let’s look at the content you put out as this is an area where a thought-leader mentality should be applied. Like your blog for example. According to Buffer, 69% of companies are producing more content now than in 2015. Why? Because of the huge value it provides, not just in generating clicks but also in helping you establishing expertise in your niche. If you’re relying solely on ads then you’re being left behind by other brands who are positioning themselves as genuinely helpful to customers. How do they do this? Firstly, they make understanding their customers’ needs a priority, then demonstrate that understanding by publishing relevant content to serve those needs. Become a leading expert on your own customers and you’ll already win half the battle in edging ahead of your competition. For marketers, keyword research is a classic kicking off point for this and should be the most basic requirement in customer research. What are people actually asking? Create personas and validate them too, experience researchers will tell you that engaging customers in their own arena is the best way to gather real intel. Delivery is also important. Thought leaders understand not just what content they’re customers need but also how they’ll use it. Of course, there are many, many forms of content for you to utilise such as instructional videos, case studies, market research, podcasts, infographics… the list is very long indeed. The ultimate customer experience is built on knowing what content works best and at what stage of the customer’s journey it should be applied. Remember what Entrepreneur’s definition of thought leadership said about tapping ‘into the talent, experience and passion inside your business’? In your team(s) you already have a wealth of talent and expertise that is probably not being fully unleashed on your brand. The sales person who so passionately talks about your product all day might not have any input on a product page or a blog article. But why? Your employees are at the front-line of not just your products or services, but your customers too and you remember what said about understanding customers’ needs. So how can you apply a thought leader mentality to the people in your company in order to build trust in your brand? In sales and marketing terms it’s easy, you give them a voice. You should encourage your employees to contribute to studies, to share their knowledge and their passion for their work. Involve them in content creation too, trust me there is plenty of creativity to be found outside of the marketing department, even if your marketing team just need to add the final flourishes. You can also establish a platform for your employees to share content on social media. 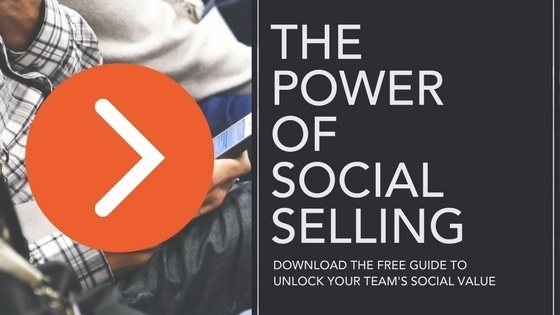 This allows them to build up their own brands as experts in their own networks, which is a proven successful strategy especially for sales people – social sellers outsell their peers. Read more about employee advocacy and social selling and you’ll understand just how powerful it can be in establishing thought leaders within your company. The smartest person in the room isn’t the one who shouts about how much they know about everything, it’s the one who answers the question that’s being asked of them. Thought leadership is about providing real value before selling. Demonstrating that you understand what your customers need and delivering it in the way they want it is the path to delivering a great customer experience and building trust in your brand.